What comes to mind when you think of Spring? Rainbows? Bunnies? Rain showers? For me, it’s always been ladybugs. It seems that these lovely little critters are always one of the first things to show up and signify the start of the Spring season. Now, obviously, the official start of Spring is still a few weeks away, but with the unseasonably warm temperatures we’ve been having recently, I can’t help but keep an eye out for the first sighting of these little red and black bugs. 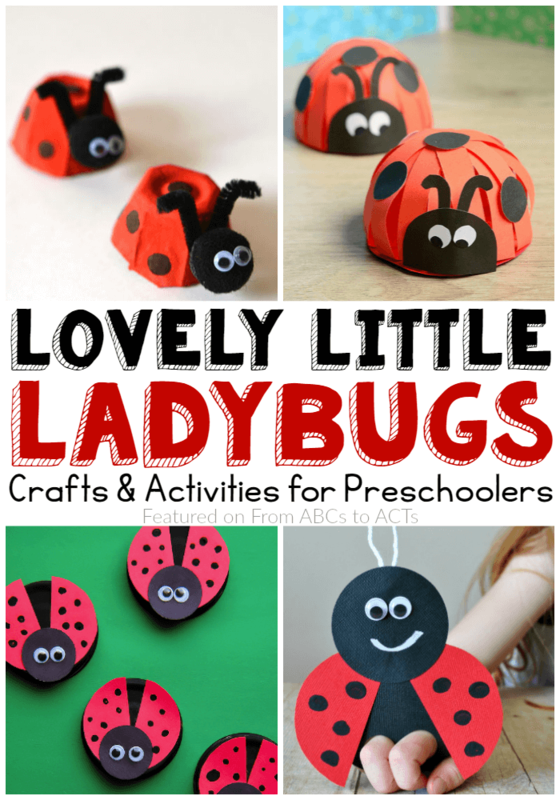 Fortunately, with this list of awesome ladybug crafts and activities, we don’t have to wait for the arrival of Spring to start enjoying it.